1. HOW TO ENTER. NO PURCHASE NECESSARY TO ENTER OR WIN A PRIZE. A PURCHASE WILL NOT INCREASE YOUR CHANCES OF WINNING. 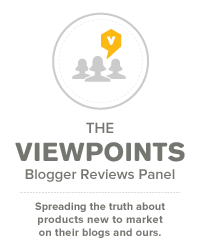 The “Viewpoints Consumer Feedback Promotion” (the “Sweepstakes”) is being organized by Viewpoints, a division of PowerReviews, Inc. (“Sponsor”). ● Be for a business that you have personally patronized or a product you have personally purchased and utilized. ● Not contain any profanity or other content not allowed in the Terms of Service. 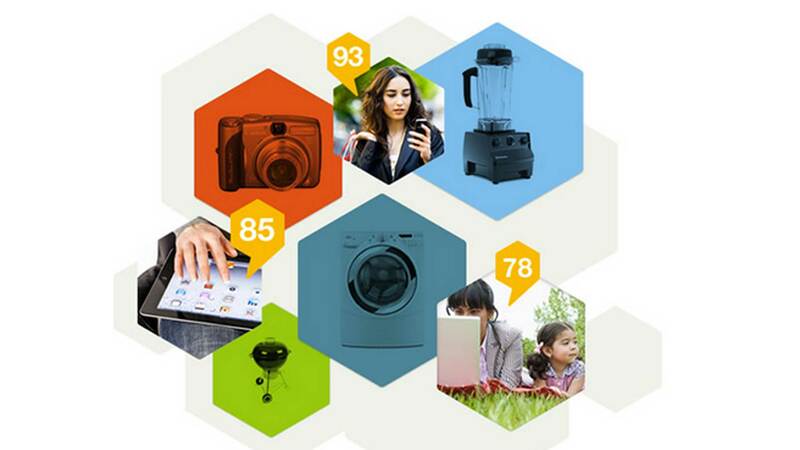 Limit one review per product per person during the Sweepstakes Period. All online entrants must have a valid email address. Sponsor reserves the right in its sole discretion to disqualify any Web Entry at any time, which, in Sponsor’s opinion, does not comply with these Official Rules. Upon receipt of your Mail-In entry, you will be automatically entered in the Sweepstakes. Mail-In Entries must be postmarked during the Sweepstakes Period and received no later than seven (7) days after the end of the Sweepstakes Period. Mechanically produced entries are not eligible and you may only enter once per envelope sent. Limit one entry per envelope. Any individual who attempts or otherwise encourages, directly or indirectly, the entry of multiple or false contact information under multiple identities, by cellular phone, or uses any device or artifice to enter or encourage, directly or indirectly, multiple or false entries, as determined by Sponsor, will be disqualified. In the event of a dispute as to the identity of an entrant, such entry will be declared made by the authorized account holder submitted at the time of entry. “Authorized account holder” is defined as the natural person who is assigned to a mobile telephone number/email address by a telephone company, wireless service provider, or other organization (e.g. business, educational, institution, etc.) that is responsible for assigning telephone numbers or wireless phone numbers for the telephone exchange associated with the submitted telephone number/email address or the domain associated with the submitted telephone, as applicable. Sponsor and its subsidiaries and affiliates are not responsible for late, lost, delayed, unclear, unintelligible, incomplete, misdirected, stolen, ineligible or damaged entries which will be disqualified or for technical, hardware, software or telephone malfunctions of any kind, lost or unavailable network connections, or failed, incorrect, incomplete, inaccurate, garbled or delayed electronic communications caused by the sender, or by any of the equipment or programming associated with or utilized in the Sweepstakes which may limit the ability to play or participate, or by any human error that may occur in the processing of the entries in the Sweepstakes. 2. ELIGIBILITY: The Sweepstakes is open to legal residents of the fifty United States and the District of Columbia, aged 18 years or older, except employees of Sponsor, its affiliated companies, advertising agencies, and promotional partners, and relatives of and those living in the same household as such employees. For the purpose of this Sweepstakes, relatives are defined as spouse, mother, father, in-laws, grandmother, grandfather, brother, sister, children and grandchildren. All federal, state and local laws and regulations apply. Void where prohibited. Four potential winners, along with ten alternate potential winners, will be selected in a random drawing, on or around fifteen (15) days after the end of the Sweepstakes Period, from all eligible entries received. The drawing will be conducted by Sponsor or its designee, whose decisions are final and binding on all matters relating to the Sweepstakes. If the potential winners do not meet the above requirements, or are otherwise disqualified, then the first alternate potential winner will become eligible to win the Prize. If, for any reason, the first alternate potential winner does not meet the above requirements, or is otherwise disqualified, then the remaining alternate potential winners will each, in turn, become eligible to win the Prize until an alternate potential winner complies with the above criteria. The winners will be notified by email. If a winner cannot be reached after a reasonable attempt has been made by Sponsor (as determined by Sponsor in its sole discretion) or if a valid email address to be reached at regarding prize delivery was not provided, that winner will forfeit his/her prize. Upon prize forfeiture, no compensation will be given to the winner. There will be four (4) prizes awarded during the Sweepstakes Period consisting of Four $100 Sears gift cards. Approximate retail value of prize: $100. Odds of winning depend on number of correct eligible entries received. All prizes legitimately claimed will be awarded. All federal, state and local taxes, as well as any expenses not specified in these Official Rules, are the sole responsibility of the winner(s). No transfers, prize substitutions or cash redemptions will be made, except at Sponsor’s sole discretion. No more than the stated number of prizes will be awarded. The prize will be mailed to the winner. The prize winner may be required to complete, sign and return an Affidavit of Eligibility/Liability and Publicity Release (where permitted by law), and any other documents which may be required by Sponsor. 5. LIMITATION OF LIABILITY: By entering, entrant agrees to release, defend, hold harmless and indemnify each of Sponsor and its parents, subsidiaries, affiliates, contractors, directors, officers, governors, employees and agents against any and all liability, damages or causes of action (however named or described), with respect to or arising out of either (i) any damage to entrant’s cellular telephone or computer relating to or resulting from entering or downloading materials or software in connection with entering this Sweepstakes; or (ii) any injuries, losses, or damages of any kind caused by the acceptance, possession, use or misuse of a prize awarded in the Sweepstakes, including but not limited to any claims for damage to property, personal injury, death or claims based on defamation, rights of privacy, rights of publicity or merchandise delivery. 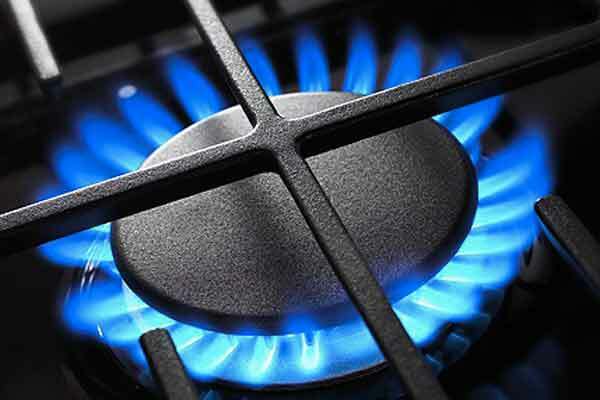 False or deceptive entries or acts will render the entrant ineligible. WARNING: ANY ATTEMPT TO DELIBERATELY DAMAGE OR UNDERMINE THE LEGITIMATE OPERATION OF THIS SWEEPSTAKES MAY BE A VIOLATION OF CRIMINAL AND CIVIL LAWS AND SHOULD SUCH AN ATTEMPT BE MADE, SPONSOR RESERVES THE RIGHT TO SEEK DAMAGES OR OTHER REMEDIES FROM ANY SUCH PERSON(S) RESPONSIBLE FOR SUCH ATTEMPT TO THE FULLEST EXTENT PERMITTED BY LAW. Sponsor is not responsible for any printing or typographical errors in these Official Rules or any other materials associated with the Sweepstakes. Entrants enter at their own risk and Sponsor is not responsible for and shall not be liable for any condition caused by events beyond its control that may cause the Sweepstakes to be disrupted or corrupted. Failure to comply with these Official Rules may result in disqualification from this Sweepstakes. Sponsor reserves the right to permanently disqualify any person it believes has violated these Official Rules. 6. GENERAL RULES: By entering the Sweepstakes (except where prohibited by law), entrants consent to the use of their names, pictures, likenesses, voices, biographical data, and/or any information contained in their entry in advertising, promotion and marketing materials throughout the world, including on the internet, by Sponsor, its promotional partners, and third party marketing entities, without additional compensation, notification, review, or approval. Sponsor’s decisions will be final in all matters related to this Sweepstakes, the interpretation of these Official Rules and awarding of the prizes. If the Sweepstakes is not capable of running as planned for any reason, Sponsor reserves the right, in its sole discretion, to cancel, modify or suspend the Sweepstakes. DO NOT call Sponsor or its promotional partners, as this Sweepstakes will not be discussed by phone, except at Sponsor’s sole discretion. 7. WINNERS’ LIST. For the name of the winners, send a legal-size, self-addressed, stamped envelope to: “Viewpoints Consumer Feedback Promotion” Winners’ List, c/o PowerReviews, Inc., 440 North Wells, Suite 720, Chicago, IL 60654. Requests must be received no later than three (3) months following the close of the Sweepstakes. 8. SPONSOR. PowerReviews, Inc., 440 North Wells, Suite 720, Chicago, IL 60654. 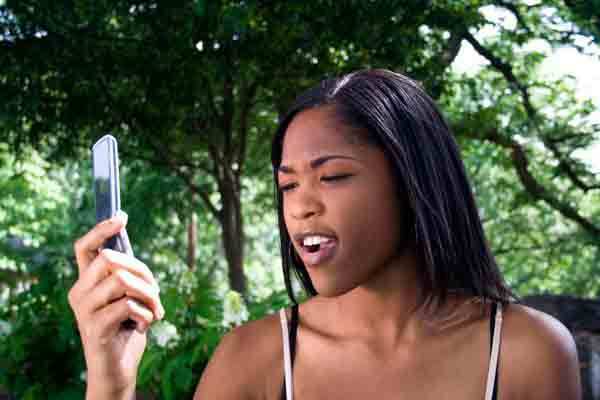 Why Do I Have Poor Cell Phone Reception? Drop calls frequently? Live in a dead zone? Never able to get more than two bars at work? You aren’t alone, and unfortunately there is no fix to the problem in sight. “Can you hear me now?” It’s a clever Verizon Wireless commercial, but these are also words we hear much too often. Bad cell reception is frustrating, especially when we pay so much for service in the first place. So why do I have poor cell phone reception despite the fact my provider claims to have great coverage in my area? I live in a city, surrounded by towers but unfortunately our experts say it isn’t getting any better for a while. 3G, 4G, unlimited data, texting, family plans. 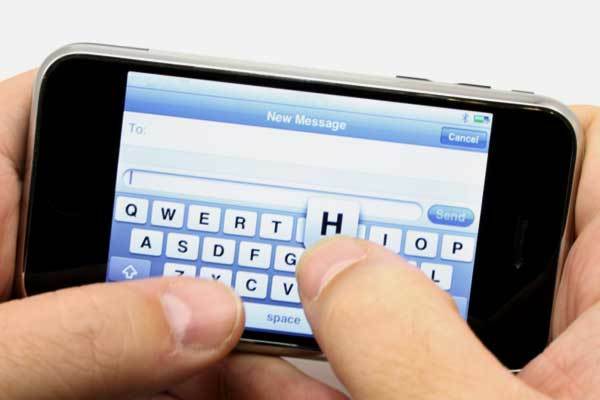 There are more considerations than ever when signing up for cell phone service. Before committing to a new cell phone plan for you or your family, don’t overlook these five new rules. New shared plans offered by AT&T and Verizon are changing the economics of how individuals and families access voice, data and texting services. Additionally, as 4G phones become commonplace, understanding which cell phone carriers offer reliable 4G connections becomes all the more critical. Eligibility: Viewpoints, LLC (Viewpoints) Crock-Pot Slow Cooker with iStir Technology Sweepstakes is open only to residents of the 50 United States and the District of Columbia with preexisting internet access who are 18 years of age or older at the time of entry. Employees of Viewpoints, its affiliates, agents, and its advertising and promotion agencies, and their respective immediate family members (spouse, children, parents and siblings) and those living in the same household of each (whether or not related), are not eligible to enter. Void where prohibited and subject to all laws. Only be related to products that are listed on www.viewpoints.com or that are added to the database within the time frame of the promotion. In the event of dispute over the identity of a potential winner, online entries will be deemed made by the authorized account holder of the email address submitted at the time of entry, and the potential winner may be required to provide identification sufficient to show that he/she is the authorized account holder of the email address submitted upon entry. “Authorized account holder” is the natural person who is assigned to an email address by the Internet Access provider, online service provider, or other organization that is responsible for assigning email addresses. Proof of emailing does not constitute proof of delivery or entry. All entries become the property of Sponsor and will not be returned to entrant. Every entry submission must be manually keystroked and/or manually entered by the individual entrant. Automated and/or repetitive electronic submission of entries (including but not limited to entries made using any script, macro, bot or sweepstakes service) will be disqualified and transmissions from any related email or IP addresses may be blocked. Random Drawings. One (1) Grand Prize winner will be selected from among all combined eligible entries in a random drawing conducted on or about Friday, November 22. All drawings will be conducted by Viewpoints. Odds of winning depend on the number of eligible entries as of the date of each such drawing. A potential winner, along with ten alternate potential winners, will be selected in a random drawing, from all eligible entries received. The drawing will be conducted by Sponsor or its designee, whose decisions are final and binding on all matters relating to the sweepstakes. In order to win, the potential winner must: (i) comply with all requirements set forth in these rules. If the potential winner does not meet the above requirements, or is otherwise disqualified, then the first alternate potential winner will become eligible to win the Grand Prize. If, for any reason, the first alternate potential winner does not meet the above requirements, or is otherwise disqualified, then the remaining alternate potential winners will each, in turn, become eligible to win the Grand Prize until an alternate potential winner complies with the above criteria. Prizes: One (1) Grand Prize: Grand Prize winner will receive the Crock-Pot Slow Cooker with iStir Technology. The Grand Prize will be awarded. Miscellaneous: By participating, entrants agree to be bound by these Official Rules and the decisions of the judges, which are final in all respects. No cash or other substitution or transfer of prizes permitted, except that Sponsor reserves the right to substitute a prize of equal or greater value due to prize unavailability due to circumstances beyond its control. Winners will be notified by email. Return of any prize notification as non-deliverable will result in disqualification, and an alternate winner being randomly selected. All taxes or prizes are the sole responsibility of the individual winners. By participating, entrants agree: (1) that Sponsor may (unless prohibited by law) use winner’s name, city of residence, photograph and/or likeness for advertising and other promotional purposes without further review or compensation in any media, in perpetuity and worldwide; (2) to hold Sponsor, its parent, divisions, affiliates, advertising and promotion agencies and other agents and their respective directors, officers, employees, representatives, agents and assigns harmless against any and all claims, loss, liability, injury or damage to entrant or any other person or entity due in whole or in part, directly or indirectly, by reason of their acceptance, possession or use of a prize or their participation in this sweepstakes. By participating, entrants hereby agree that sponsor is not responsible for incomplete, lost, late, damaged, illegible, misplaced or misdirected email entries or faulty transmissions, technical computer hardware or software failures of any kind, lost or interrupted or unavailable network connections, or failed, incomplete, garbled, misrouted, scrambled or delayed computer transmission or other errors or problems of any kind, whether mechanical, human, electronic or otherwise, which may limit a user’s ability to participate in the sweepstakes. Sponsor is not responsible for any typographical or other error in the printing of the offer, administration of the sweepstakes or in the announcement of the prizes. Entrants further agree that sponsor assumes no responsibility or liability for (a) any incorrect or inaccurate entry information, or for any faulty, failed, garbled or jumbled electronic data transmissions; (b) any unauthorized access to, or theft, destruction or alteration of entries at any point in the operation of this Sweepstakes; (c) any technical malfunction, failure, error, omission, interruption, deletion, defect, delay in operation or communications line failure, regardless of cause, with regard to any equipment, systems, networks, lines, satellites, servers, computers or providers utilized in any aspect of the operation of the Sweepstakes; or, (d) inaccessibility or unavailability of the internet or the website or any combination thereof; (e) any injury or damage to participants or to any other person’s computer which may be related to or resulting from any attempt to participate in the Sweepstakes or download any materials in the Sweepstakes. Sponsor reserves the right to (1) disqualify any entrant and void any entries of an entrant who has engaged in unsportsmanlike conduct, fraud or other misconduct relative to this sweepstakes or otherwise attempted to tamper with or impair the sweepstakes, and to (2) cancel, modify, suspend or terminate the online portion of the sweepstakes if, in Sponsor’s sole opinion, technical failures, applicable laws or regulations, virus, bugs, unauthorized human intervention or other cause beyond Sponsor’s reasonable control destroys the integrity of the sweepstakes or otherwise corrupts or impairs the administration, security, legality, fairness or proper play of the sweepstakes or any part thereof. Sponsor also reserves the right at its sole discretion to disqualify any individual found to be tampering with the entry process or the operation of the Sweepstakes or the website, or to be acting in any manner Sponsor deems to be in violation of the Official Rules or disruptive, or with intent to annoy, abuse, threaten or harass any other person. If, for any reason, the Sweepstakes is not capable of running as planned for reasons which may include without limitation, infection by computer virus, bugs, tampering, unauthorized intervention, fraud, technical failures, violation of applicable law or regulation or any other causes which may corrupt or affect the administration, security, fairness, integrity or proper conduct of this Sweepstakes, Sponsor reserves the right at its sole discretion to cancel, terminate, modify or suspend the Sweepstakes in whole or in part. Winners List: For a winners list available after December 6, send a self-addressed stamped #10 envelope to be received by July 28 to: Viewpoints, LLC 440 N. Wells Avenue Ste. 720 Chicago, IL 60654. Eligibility: Viewpoints, LLC (Viewpoints) George Foreman Grill Sweepstakes is open only to residents of the 50 United States and the District of Columbia with preexisting internet access who are 18 years of age or older at the time of entry. Employees of Viewpoints, its affiliates, agents, and its advertising and promotion agencies, and their respective immediate family members (spouse, children, parents and siblings) and those living in the same household of each (whether or not related), are not eligible to enter. Void where prohibited and subject to all laws. Only be related to products that are listed onwww.viewpoints.com or that are added to the database within the time frame of the promotion. Random Drawings. One (1) Grand Prize winner will be selected from among all combined eligible entries in a random drawing conducted on or about Wednesday, December 4. All drawings will be conducted by Viewpoints. Odds of winning depend on the number of eligible entries as of the date of each such drawing. Prizes: One (1) Grand Prize: Grand Prize winner will receive the George Foreman 5-Serving Removable Plate Grill GRP2841. The Grand Prize will be awarded. Winners List: For a winners list available after December 18, send a self-addressed stamped #10 envelope to be received by July 18 to: Viewpoints, LLC 440 N. Wells Avenue Ste. 720 Chicago, IL 60654. Eligibility: Viewpoints, LLC (Viewpoints) Kalorik 2-Slice Toaster Sweepstakes is open only to residents of the 50 United States and the District of Columbia with preexisting internet access who are 18 years of age or older at the time of entry. Employees of Viewpoints, its affiliates, agents, and its advertising and promotion agencies, and their respective immediate family members (spouse, children, parents and siblings) and those living in the same household of each (whether or not related), are not eligible to enter. Void where prohibited and subject to all laws. Random Drawings. One (1) Grand Prize winner will be selected from among all combined eligible entries in a random drawing conducted on or about Thursday, November 14. All drawings will be conducted by Viewpoints. Odds of winning depend on the number of eligible entries as of the date of each such drawing. Prizes: One (1) Grand Prize: Grand Prize winner will receive the Kalorik 2-Slice Toaster with See-Through Glass Panel. The Grand Prize will be awarded. Winners List: For a winners list available after November 28, send a self-addressed stamped #10 envelope to be received by May 28 to: Viewpoints, LLC 440 N. Wells Avenue Ste. 720 Chicago, IL 60654. In storm and hurricane-prone Florida, the government-run Citizens Insurance is often the last resort for consumers. 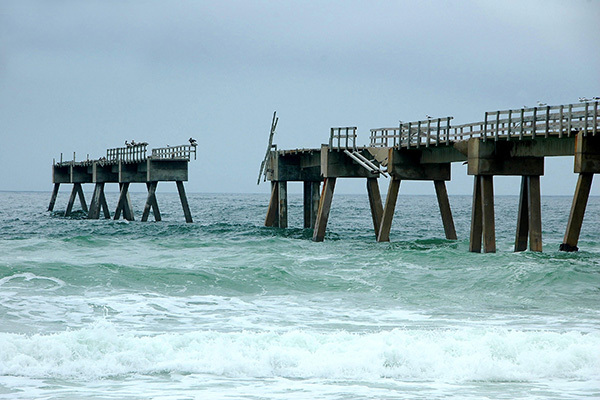 In Florida, Citizens Property Insurance Corporation is commonly known as the “last resort” government option. It’s not the greatest out there, and a free market solution is preferable. But under the circumstances, it’s the best idea going. 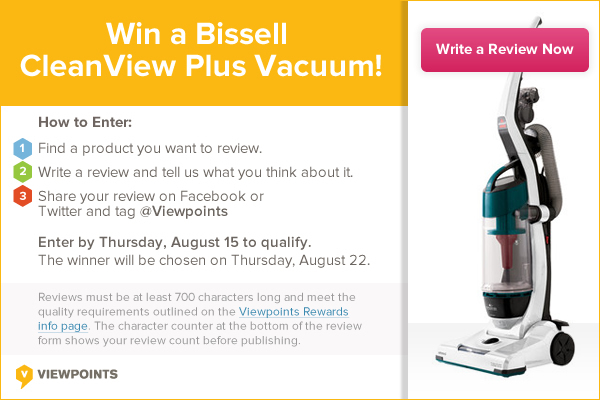 Eligibility: Viewpoints, LLC (Viewpoints) Bissell Vacuum Facebook & Twitter Contest is open only to residents of the 50 United States and the District of Columbia who are 18 years of age or older and have pre-existing internet access and a Facebook or Twitter account at the time of entry. Employees of Viewpoints, its affiliates, agents, and its advertising and promotion agencies, and their respective immediate family members (spouse, children, parents and siblings) and those living in the same household of each (whether or not related), are not eligible to enter. Void where prohibited and subject to all laws. How a winner is chosen: One (1) Grand Prize winner will be selected from among all combined eligible entries in a random drawing conducted on or about August 22. All drawings will be conducted by Viewpoints. Odds of winning depend on the number of eligible entries as of the date of each such drawing. Prizes and Approximate Retail Values: One (1) Grand Prize: Grand Prize winner will receive one Bissell CleanView Plus Vacuum valued at $89.99 USD. The Grand Prize will be awarded. Miscellaneous: By participating, entrants agree to be bound by these Official Rules and the decisions of the judges, which are final in all respects. No cash or other substitution or transfer of prizes permitted, except that Sponsor reserves the right to substitute a prize of equal or greater value due to prize unavailability due to circumstances beyond its control. Winners will be notified by email. Return of any prize notification as non-deliverable will result in disqualification, and an alternate winner being randomly selected. By participating, entrants agree: (1) that Sponsor may (unless prohibited by law) use winner’s name, city of residence, photograph and/or likeness for advertising and other promotional purposes without further review or compensation in any media, in perpetuity and worldwide; (2) to hold Sponsor, its parent, divisions, affiliates, advertising and promotion agencies and other agents and their respective directors, officers, employees, representatives, agents and assigns harmless against any and all claims, loss, liability, injury or damage to entrant or any other person or entity due in whole or in part, directly or indirectly, by reason of their acceptance, possession or use of a prize or their participation in this Contest. By participating, entrants hereby agree that sponsor is not responsible for incomplete, lost, late, damaged, illegible, misplaced or misdirected email entries or faulty transmissions, technical computer hardware or software failures of any kind, lost or interrupted or unavailable network connections, or failed, incomplete, garbled, misrouted, scrambled or delayed computer transmission or other errors or problems of any kind, whether mechanical, human, electronic or otherwise, which may limit a user’s ability to participate in the Contest. Sponsor is not responsible for any typographical or other error in the printing of the offer, administration of the Contest or in the announcement of the prizes. Entrants further agree that sponsor assumes no responsibility or liability for (a) any incorrect or inaccurate entry information, or for any faulty, failed, garbled or jumbled electronic data transmissions; (b) any unauthorized access to, or theft, destruction or alteration of entries at any point in the operation of this Contest; (c) any technical malfunction, failure, error, omission, interruption, deletion, defect, delay in operation or communications line failure, regardless of cause, with regard to any equipment, systems, networks, lines, satellites, servers, computers or providers utilized in any aspect of the operation of the Contest; or, (d) inaccessibility or unavailability of the internet or the website or any combination thereof; (e) any injury or damage to participants or to any other person’s computer which may be related to or resulting from any attempt to participate in the Contest or download any materials in the Contest. Sponsor reserves the right to (1) disqualify any entrant and void any entries of an entrant who has engaged in unsportsmanlike conduct, fraud or other misconduct relative to this Contest or otherwise attempted to tamper with or impair the Contest, and to (2) cancel, modify, suspend or terminate the online portion of the Contest if, in Sponsor’s sole opinion, technical failures, applicable laws or regulations, virus, bugs, unauthorized human intervention or other cause beyond Sponsor’s reasonable control destroys the integrity of the Contest or otherwise corrupts or impairs the administration, security, legality, fairness or proper play of the Contest or any part thereof. Sponsor also reserves the right at its sole discretion to disqualify any individual found to be tampering with the entry process or the operation of the Contest or the website, or to be acting in any manner Sponsor deems to be in violation of the Official Rules or disruptive, or with intent to annoy, abuse, threaten or harass any other person. If, for any reason, the Contest is not capable of running as planned for reasons which may include without limitation, infection by computer virus, bugs, tampering, unauthorized intervention, fraud, technical failures, violation of applicable law or regulation or any other causes which may corrupt or affect the administration, security, fairness, integrity or proper conduct of this Contest, Sponsor reserves the right at its sole discretion to cancel, terminate, modify or suspend the Contest in whole or in part. Winners List: For a winners list available after September 5, send a separate self-addressed stamped #10 envelope to be received by February 22 to: Viewpoints, LLC 440 North Wells Street Ste. 720, Chicago, IL 60654.